One of our most recent Mid-Century Modern finds is this unique floor lamp by Gaetano Sciolari for Stilnovo, Milan. We have come across a few lamps by Gaetano Sciolari over the years, and they always impress us with their unique forms and use of detail. 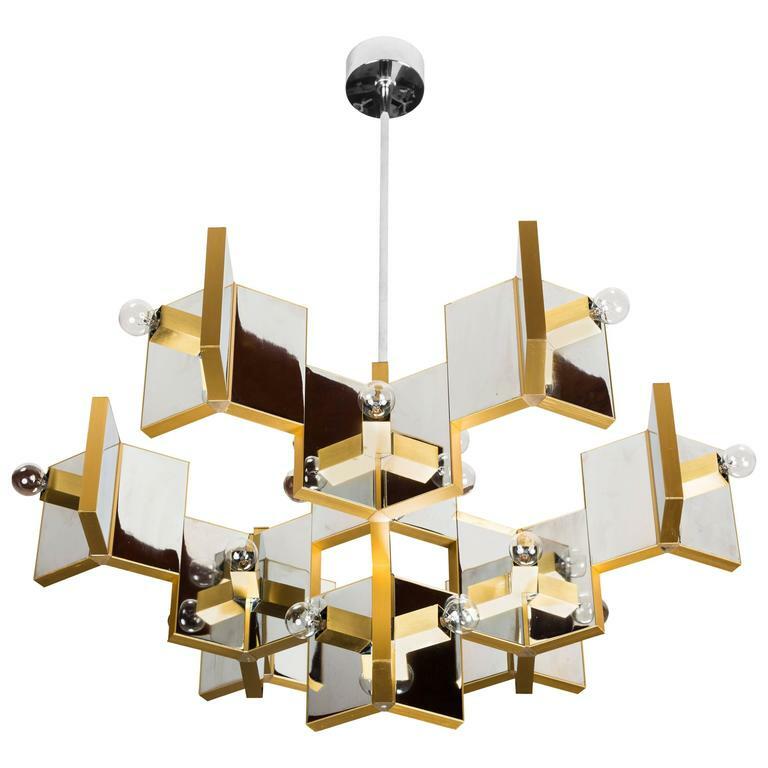 There are many lamps being made today with the Mid-Century look, but Gaetano Sciolari's designs have an inimitable quality. I would love to collect them all. Angelo Gaetano Sciolari (1927-1994) graduated with a degree in architecture and then went on to train as a filmmaker. He had a sudden career change in 1949, when his father passed away, and he took over Sciolari Lighting at the age of 22. His family owned Sciolari Lighting since 1892, only 13 years after Thomas Edison patented the first light bulb. Sciolari was not only an amazing lighting designer, but also a wonderful entrepreneur. Under Gaetano Sciolari, the Sciolari Lighting business expanded tremendously and became the first Italian lighting manufacturer to sell in the United States through Lightolier. Sciolari lamps were also manufactured by Stilnovo in Milan, Boulanger in Belgium, and Stilkrone in Germany. In addition to building up the Sciolari Lighting business and contributing so many wonderful lighting designs, Gaetano Sciolari was also the founder and president of the Italian Lighting Manufacturer's Association. I love the contrasts in Gaetano Sciolari's designs. They can be simplistic and futuristic, but also intricate and glamorous. 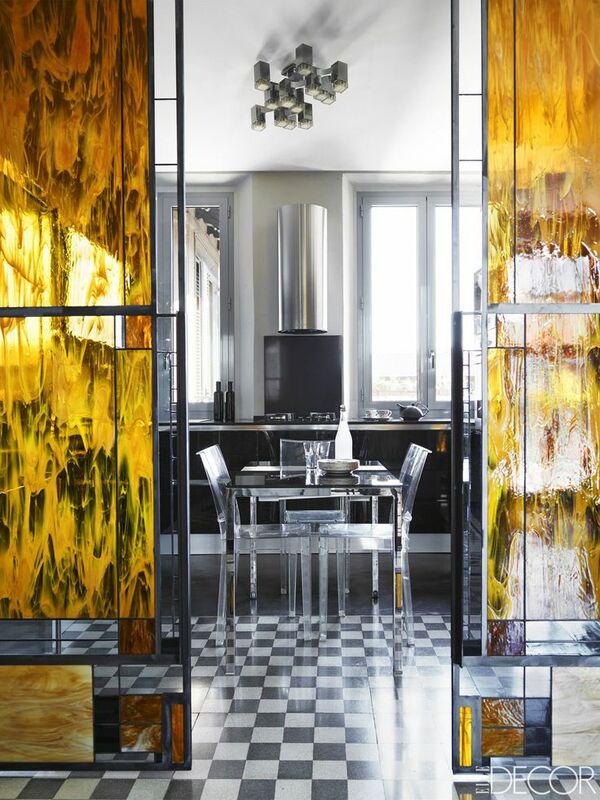 He mixed materials such as brass and chrome and also juxtaposed different finishes such as a polished finish alongside a satin finish. 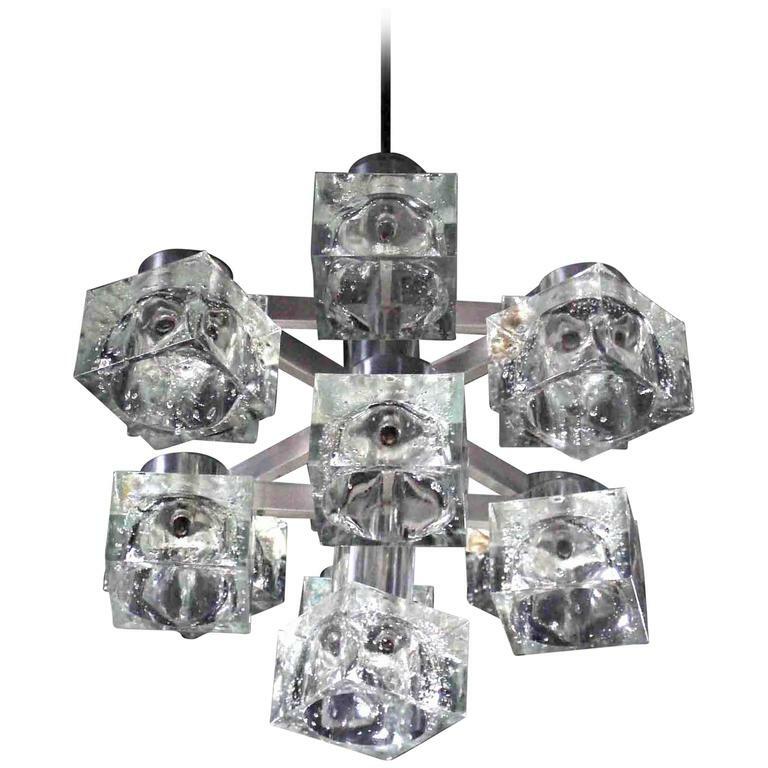 His use of glass and crystals is cool and sparkly, but also gives off a warm glow when the lamps are turned on. He executed all of this in harmonious configurations of geometric forms that are like glowing sculptures. Some of the names of Sciolari's lamps are ‘Club’, ‘Futura’, ‘Cubic', 'Ovali' and ‘Sculpture’. Below are two chandeliers we have sold by Gaetano Sciolari, an 'Ovali' chandelier on the left and a 'Club' chandelier on the right. These are definitely more 'classic' than many of his designs. A few 'Cubic' chandeliers are pictured above on the right and left. 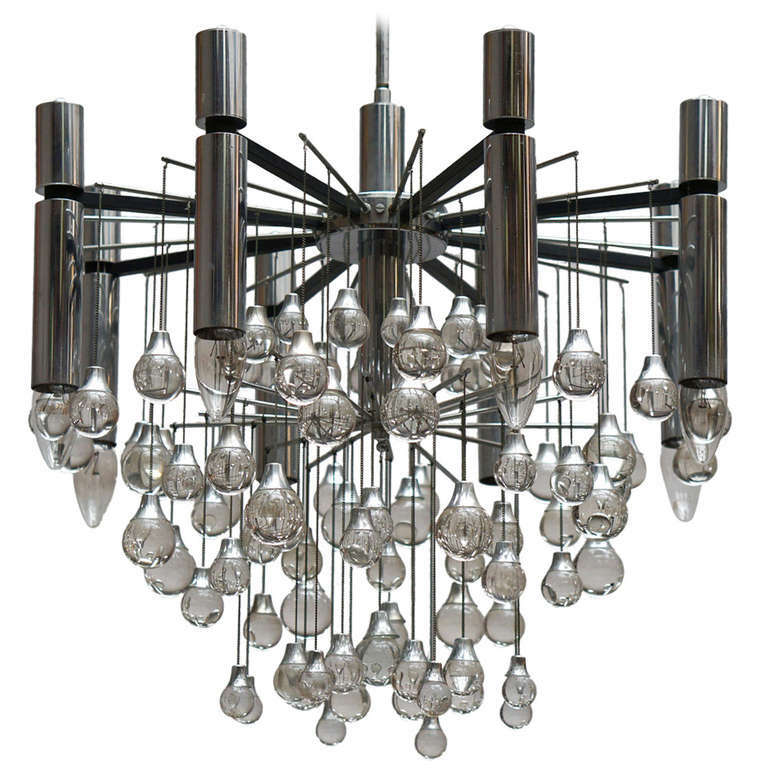 I'm not sure what the middle chandelier is called, but I would guess 'Futura'. Which do you prefer? Gaetano Sciolari's lamps are unique statement pieces in any room. 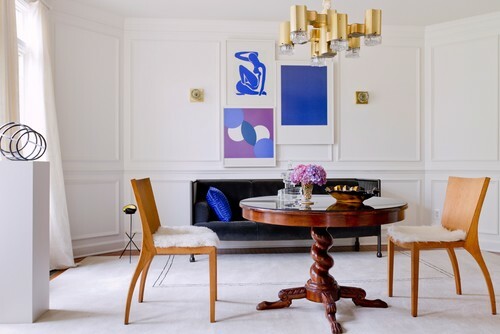 Here are some examples of his vintage Mid-Century lamps being used in interior design today.